An on-duty California Highway Patrol officer suffered a broken collarbone Thursday evening when he crashed on Highway 1 near Hearst Castle. A truck smashed into the side of the CHP cruiser while the officer was attempting to make a U-turn. 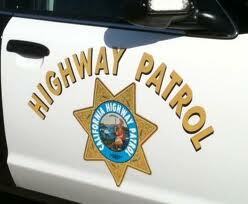 The CHP has not said whether or not the officer was at fault in the collision. The officer was trying to make the U-turn in order to stop a speeding driver heading in the other direction, according to a CHP news release. Around 6:09 p.m., CHP officer William Archibald, a 46-year-old Atascadero resident, was driving his Ford patrol SUV northbound on Highway 1 about 1.1 miles south of Hearst Castle Road. Marcos Ortega, a 36-year-old Goleta resident, was driving northbound in a Toyota Tundra pickup about 10 car lengths behind Archibald. Archibald observed a red Sedan traveling southbound at a high-speed. The officer then slowed his SUV and moved toward the right shoulder to prepare to make a U-turn. Archibald looked over his left shoulder but did not see any traffic approaching the rear of his vehicle, according to the CHP news release. The officer then began the U-turn directly in front of Ortega’s truck. The front of the truck collided with the left side of the CHP SUV. The SUV came to a rest on its wheels facing west, and the truck came to a rest on its wheels facing north. Archibald suffered minor injuries in addition to the broken collarbone. He was transported to Twin Cities Hospital in Templeton. Ortega complained of pain in his left shoulder following the crash. CHP officers are continuing to investigate the collision. My new rule of thumb with most LEO’s is: treat them like a guy who peaked in high school and is now armed. Ultimately, I believe, it makes it safer for everyone. If it was a Sgt or higher rank they would be bending over backwards to cover up and make sure they found something wrong with what Ortega was doing at the time. Since Archibald is just a lowly officer, they will be doing everything possible to hammer him and make his life a living hell from here on out. Don’t worry about Ortega, his bank account will be going up dramatically. Not Hating either, but how many times have you seen these guy’s cut across lanes, putting everyone at risk, just to write a ticket? They write tickets to justify their existence not to keep the public safe. There is an LEO that always parks in a turn lane, in the dark, with all his lights off near Buellton, then darts across to catch his prey, Very hazardous! Just to write a ticket. Something should change. Yep. Officer at fault 100%. I’ll bet all the money in my wallet he was not drug tested, did not signal, and this will not impact his performance or pension. If that would have been a motorcycle behind him, he could have killed the guy. Drive safer please, Mr. Officer. In the interest of fairness, how do you KNOW the officer was 100% at fault? What if Ortega was driving so fast as to give up his right-of-way? Why should he be drug tested? How did you know he wasn’t signaling, and why should it affect his pension? Stoopid post you made. doing a full work-up on Ortega to see if there is anything, anything at all to help their case. No I’m not hating on police just telling it how it is.